Logger, for Reliable Cold Chain Monitoring. 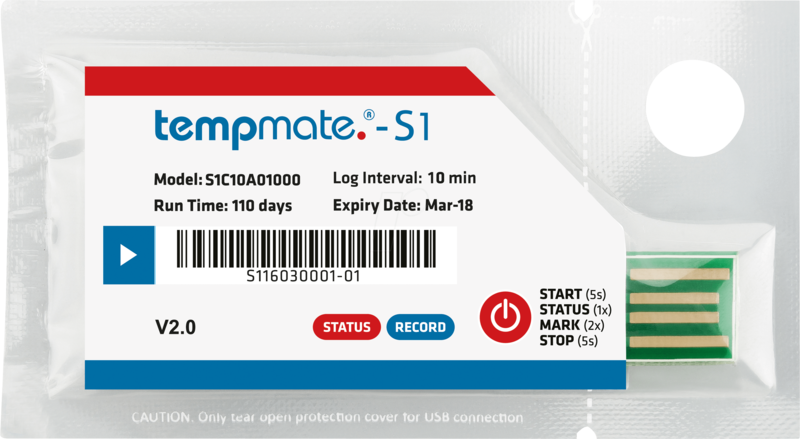 The new tempmate. -S1 V2 loggers have an integrated USB port and PDF & CSV generating software on-board, so no further software or hardware is required to connect the logger and read the recorded temperature data. 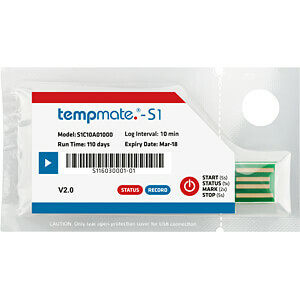 tempmate. 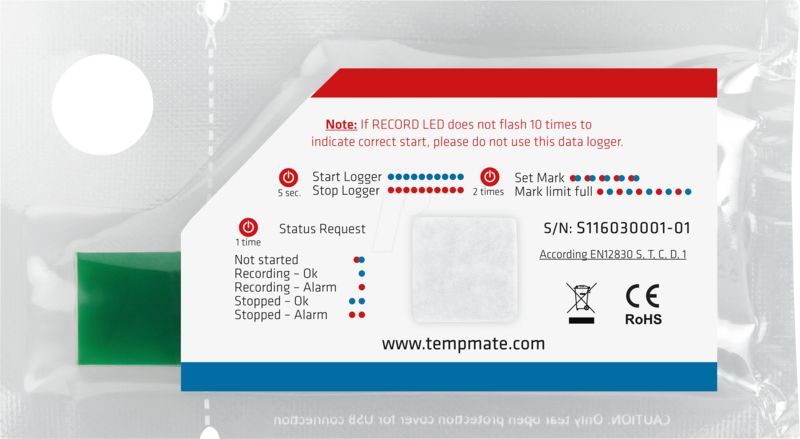 -S1 V2 data loggers have an accuracy of +/- 0.5°C and come with a 6 point NIST traceable Certificate of Validation. This validation, straight from the manufacturer, saves you time, money, and offers quality assurance for your compliance needs. 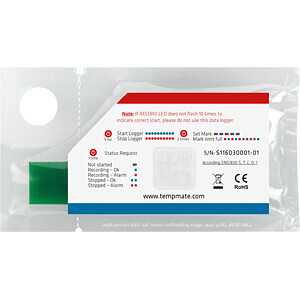 does not require labeling per IATA´s Dangerous Goods Regulations.